Some of the awards and medals presented to the inventor Gregory Lekhtman. Gregory Lekhtman was born in Moscow, Russia in 1946. Early in his childhood he took an intense interest in designing and building different models and toys and he began to read extensively in his formative years. After completing eleven years of schooling he entered university to study electronics, computers and space cybernetics. After his matriculation he joined the Laboratory of Neurocybernetics at the Brain Research Institute of the Academy of Medical Sciences in Russia. He studied and worked in neurophysiology and designed electronic diagnostic and monitoring devices for his scientific experiments in work associated with neurocybernetics of the brain. Gregory Lekhtman emigrated to Canada in 1974. He lives, works and invents in Montreal, Canada. Gregory Lekhtman has invented many products most notably in the areas of medicine, fitness and health. He has received numerous international awards and medals for his inventions, some of which are presented by Exerlopers® fitness systems. Some of his inventions are marketed by other companies. 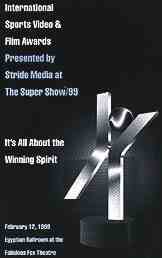 Gregory Lekhtman receives the prestigious Spirit Award at the world's largest fitness show Super Show '99 in Atlanta Georgia. Gregory Lekhtman and his inventions have been the subject of numerous articles in various scientific and popular magazines and newspapers. He has been invited to speak at several international symposiums and assciations, including the Canadian Research Council think tank for the Canadian space program, as well as being invited to speak to Russian and French astronauts in their training centers. He has contributed several chapters on heart rate monitoring and bio-feedback in E-Factor, an American university textbook written by Dr. Bob Goldman. He has written a philosophical book, People's Rules of Power vs. God's Rules of Love, and My Thoughts, a book of poetry. 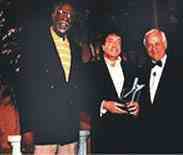 He continues to invent and develop new products, many of which will soon be displayed by Exerlopers Fitness Systems.